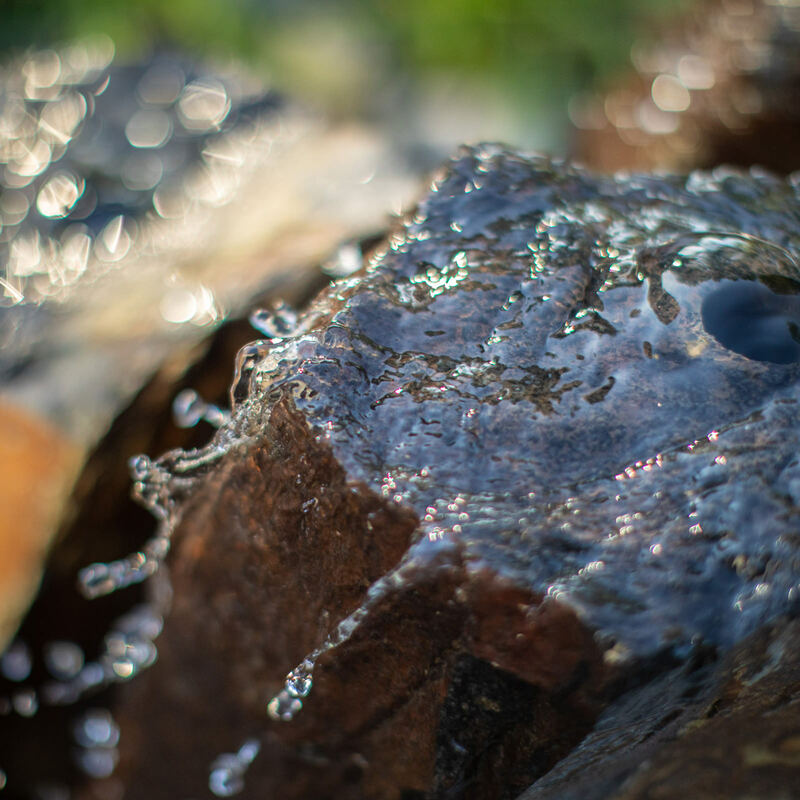 As the days get longer, and the temperatures start their day-by-day ascent, the want and need to be outside starts to build up, and your inner Spring energy takes over. You’re not alone, everyone is feeling the same way! 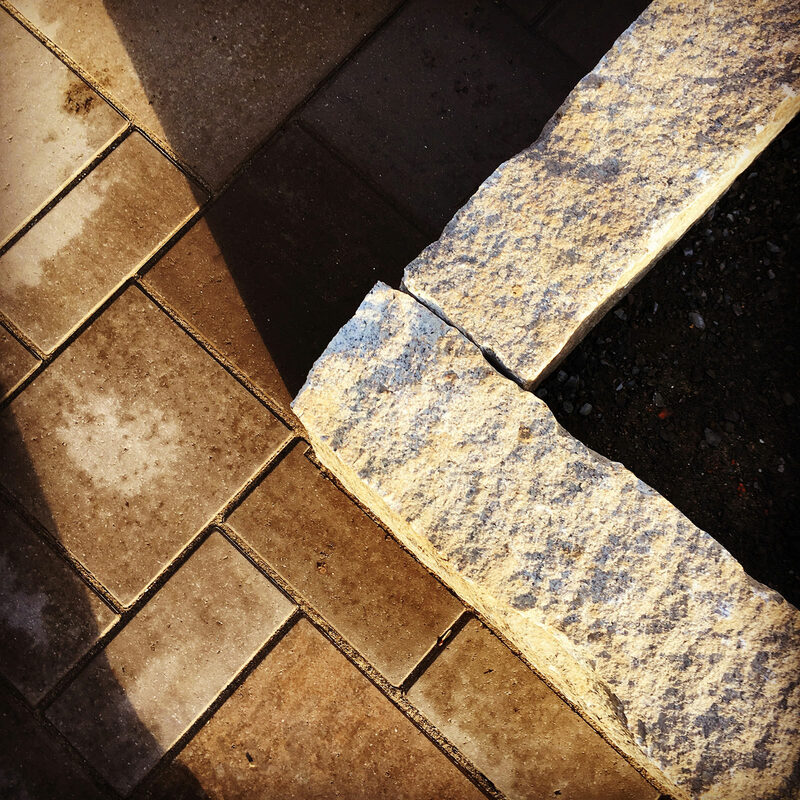 It is now time to shake off the winter cobwebs, go outside to stretch your legs and fully enjoy your outdoor spaces again. One of the most delightful outdoor activities in the warmer months is cooking and dining outside, because it has so much to offer. Outdoor dining rarely consists of a lightning-quick bite, but it exists as a whole experience that comes with its own set of feelings and moods. Implementing these essential elements for a complete outdoor dining experience will guarantee that each meal will leave you, not only full, but fulfilled. Obviously, a designated area for cooking your meals is a good start to outdoor dining. Whether you are creating your culinary creations on a portable grill or in a built-in kitchen, placement and amenities are key. Given that the kitchen is usually the space where everyone gathers during a party, the interactive cooking area will be sure to be a part of the evening conversation. Cooking areas should not be in a secluded spot; chances are the cook still wants to be a part of the action while preparing the evening feast. Having your cooking station facing the dining/entertaining space will guarantee that the chef is still able to captivate and accommodate their company. 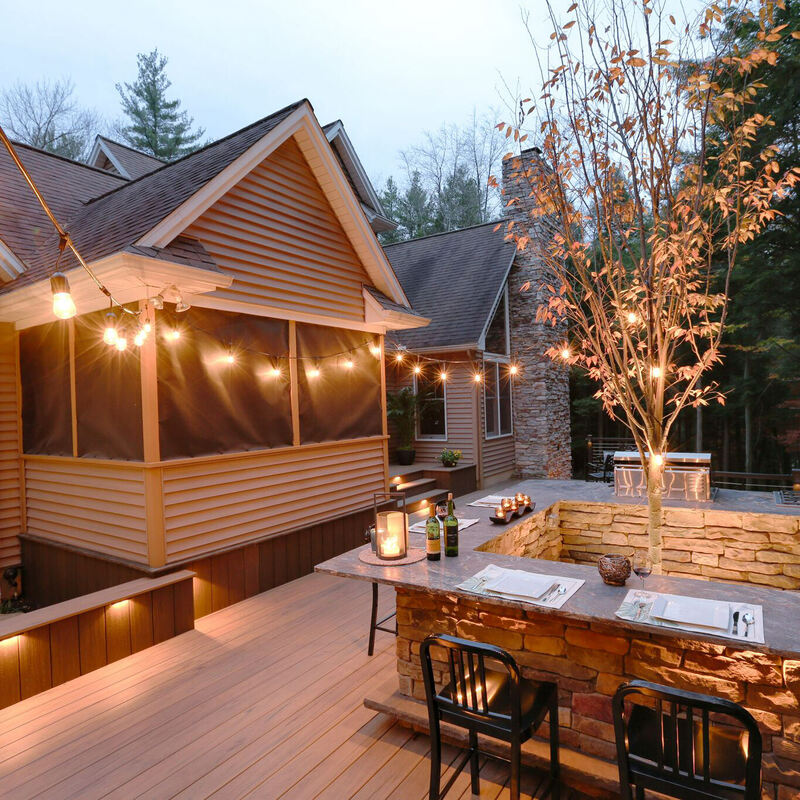 Being able to contain your kitchen amenities within an arm’s reach is so convenient that once you have outdoor storage and appliances, you wouldn’t want to imagine your outdoor living space without them! No more running back and forth indoors to grab the plates or the forgotten condiments, they can all live within your workable space, all season long! Nothing is more inviting than the warm dancing flames of a fie feature. Fire pits deserve their space in an outdoor dining plan because they seem to create the mood of togetherness and lighthearted fun. From s’mores to sharing stories, there is just something about gathering around a fire pit that is innately alluring. 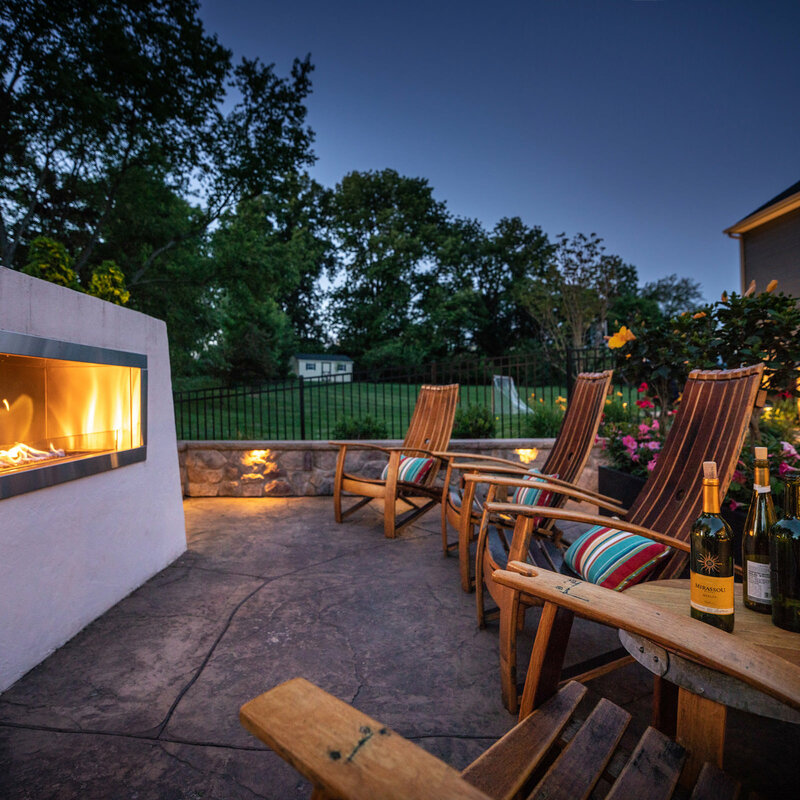 For a cozier, more romantic feel, outdoor fireplaces are the ticket. Dining near a fireplace raises the bar, making the space a bit more intimate and elegant. The fire feature focal point seems to transform the dining space by taking the chill out of the air and letting the warmth envelope the guests and the atmosphere. Having an outdoor hidden speaker system and an outdoor rated television is the perfect addition to your dining experience. Depending on what kind of get together you are having determines how your entertainment package is used. During the summer, when an endless stream of sports flood out networks, it is a huge benefit to have a television outdoors. Having an outdoor tv guarantees that the party remains integrated because the sports enthusiasts are not running to the living room to watch the game, they can cheer on their teams while still being able to mingle. In a more formal dining setting, turn off the tube and turn on some music to set the tone. While the music won’t be the focus of the evening, it is nice to have soothing background noise to keep the mood light. 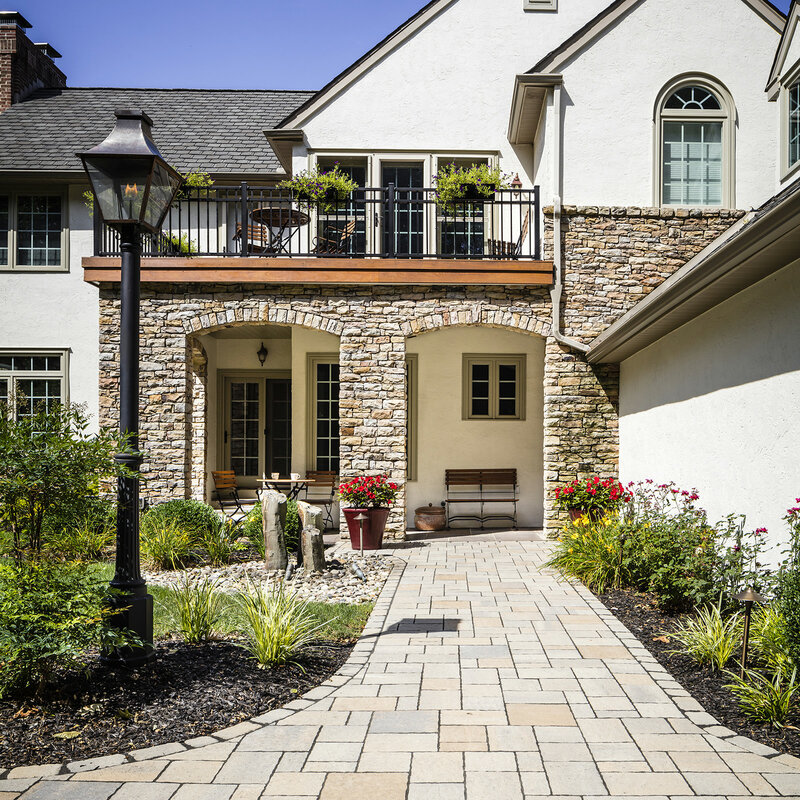 Landscaping and lighting play a significant role when it comes to outdoor living spaces. 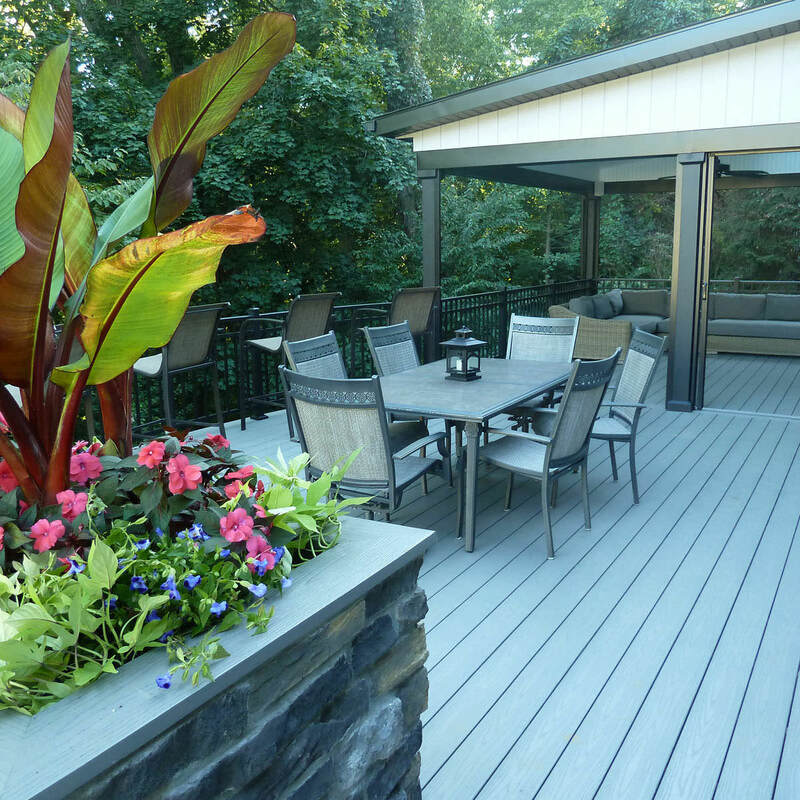 Just think about it, having a beautiful outdoor dinner and gazing into a backyard with shoddy grass and plantings that are just barely hanging on; that certainly would be a buzzkill! 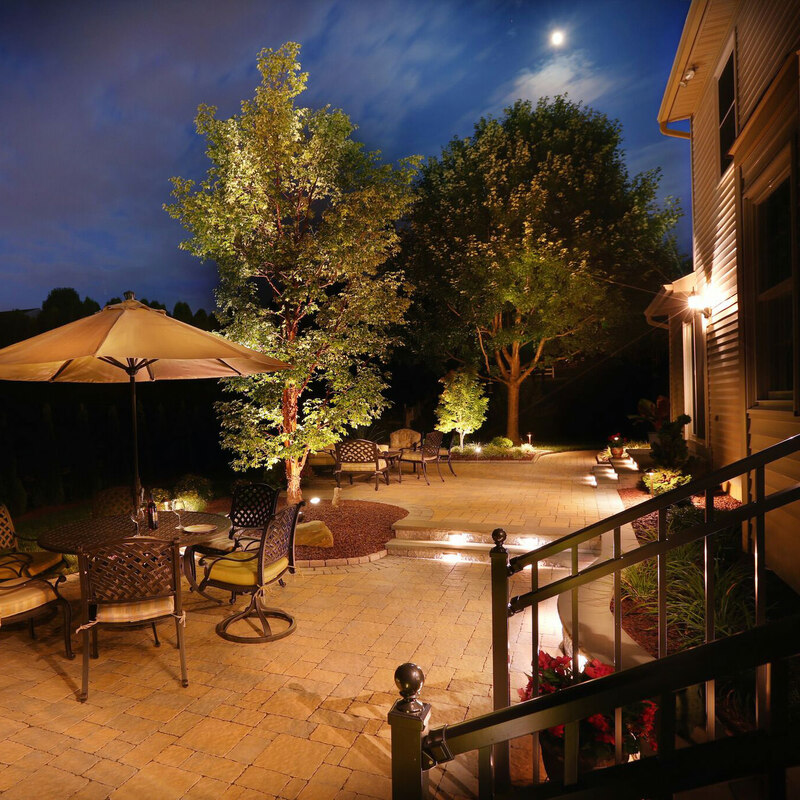 Flourishing landscaping paired with the warm glow of landscape lighting ties everything together so instinctly to create an all-embracing layout. 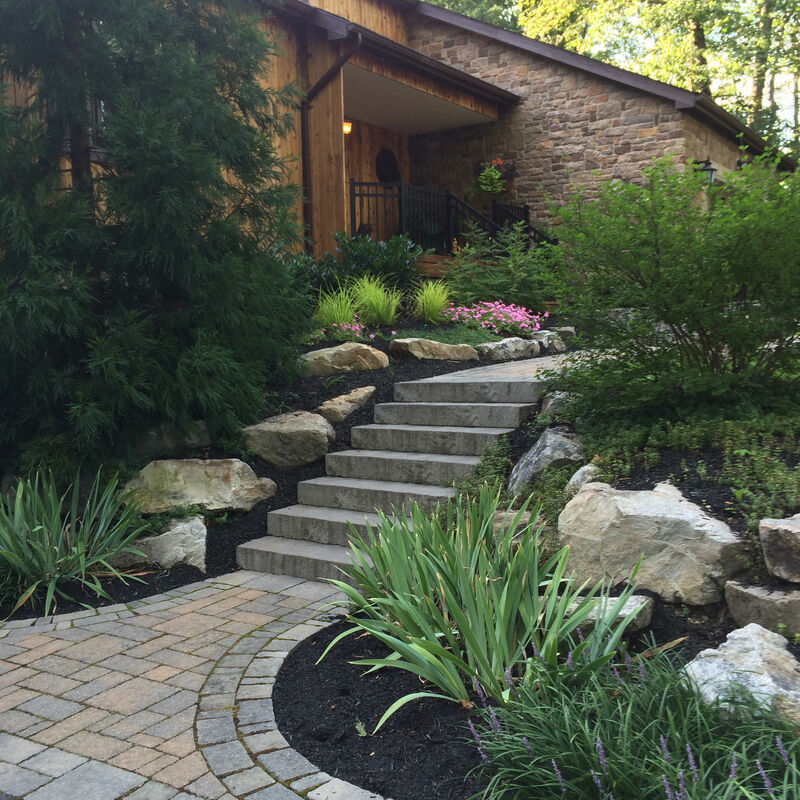 The rich, lush landscaping will turn any yard into a pleasure, not just by sight, but also by enticing floral scents! Landscape lighting enhances with a sense of well-designed landscape drama, adding to the stylish and sophisticated tone of the environment. Outdoor dining really has come a long way since the black domed charcoal grill and splinter-filled picnic tables in the midday sun. Now, if you dream it, it can be a reality…your reality! What better way to see the full potential of your own backyard than with MasterPLAN Landscape Design’s 3D rendering of your own space! Our designers will transform the ideas for your backyard into an interactive 3D plan for you to view and “walk though” so you can see all proposed features to gain a real sense of the space and how it will function all before it is built. Once you are in love with your design, MasterPLAN will assume full project management and we will begin the construction process! 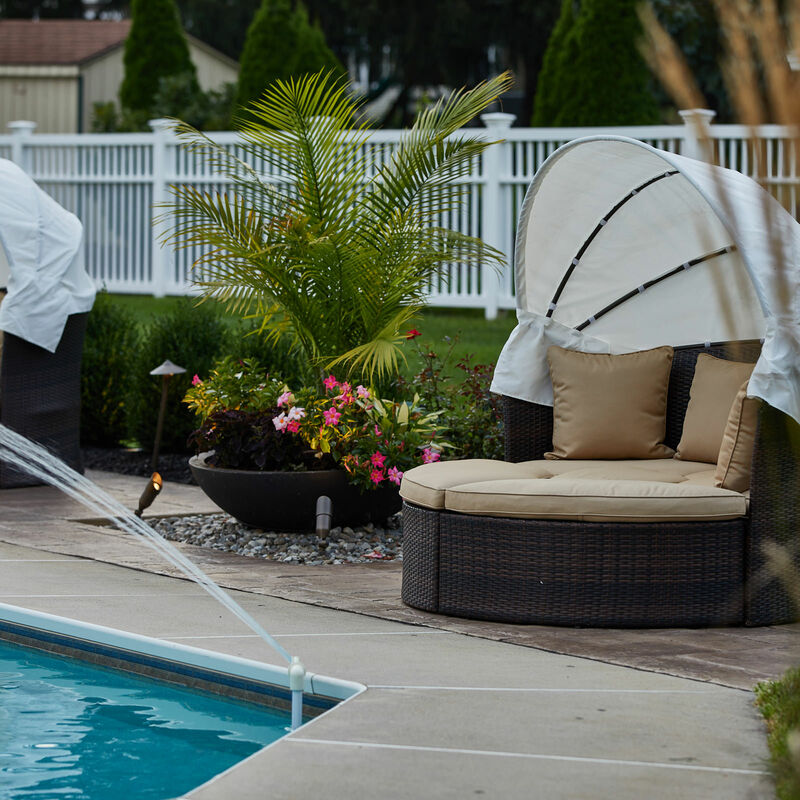 Crafting your outdoor living space to boost the beauty of your home, provide functionality and lower maintenance all while adding value to your home is our specialty. When you are all-set to turn your dream backyard into your reality, reach out to MasterPLAN; when you are ready, we are ready!